Carlos Ghosn predicted his latest arrest in a French television interview filmed hours before prosecutors descended on his Tokyo apartment. The former star boss of carmakers Nissan and Renault told TF1 television that he faced "very probable arrest" but said he didn't know what the charges would be. The interview was filmed Wednesday and aired in full Thursday evening. Ghosn denied ever being "above the law" though acknowledged "pushing things to the limit" to improve Nissan and Renault. He suggested that the Renault-Nissan-Mitsubishi alliance he helped create is now under threat. He alleged a complex plot against him starting in May 2018 by those at Nissan threatened by his strategy for the alliance. 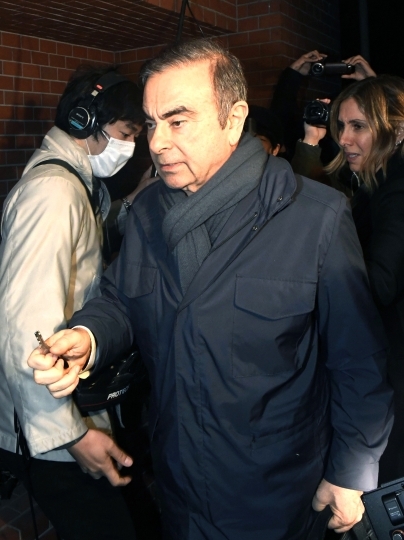 Ghosn has been charged in Japan with under-reporting his compensation and breach of trust. He was arrested Thursday on new allegations involving funds sent to an overseas dealership. A lawyer for Carlos Ghosn's family is accusing Japanese prosecutors of unfairly targeting his wife and seizing her computer, phone and passport during Ghosn's latest arrest. 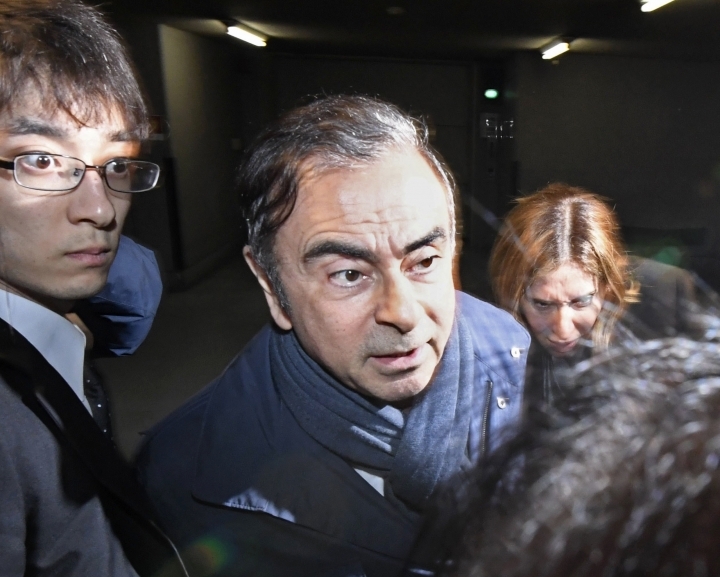 Lawyer Jessica Finelle told The Associated Press in Paris that the family is "extremely shocked" that Tokyo prosecutors arrested Ghosn for a fourth time Thursday. He denies wrongdoing. Finelle accused Japanese authorities of trying to "shut him up," because Ghosn was arrested just after he announced plans for a news conference next week. She said the new arrest was "pure harassment." The lawyer said the Japanese authorities searched his wife Carole and took her computer, cellphone and passport, as well as confidential exchanges with lawyers. 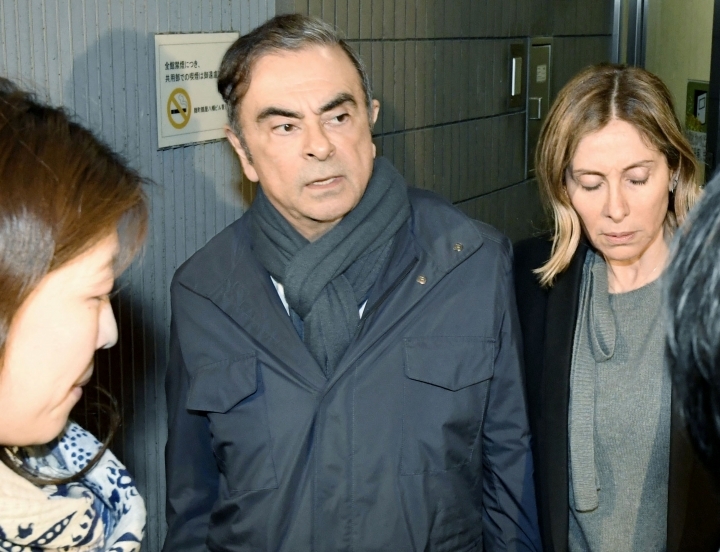 Carole Ghosn has not been charged in the Japanese investigation, and Japanese prosecutors didn't comment Thursday on why they seized the wife's belongings. The prosecutors said the new arrest was based on a new suspected crime. Ghosn headed Japan's Nissan and France's Renault before his first arrest in November. A Tokyo prosecutor has defended the re-arrest and detention of Nissan's former chairman Carlos Ghosn. Shin Kukimoto, deputy chief prosecutor at Tokyo District Prosecutors' Office, said Thursday that the allegations behind the arrest, the fourth since Nov. 19, are a new, separate case involving different motives and people. He said Ghosn had to be arrested because of flight risk and concerns about he might destroy evidence on the new allegations. Kukimoto said Ghosn's release on bail March 6 was for his earlier charges and does not cover the latest allegations of breach of trust involving different people and companies. He refused to identify three companies allegedly involved in suspect payments. He also refused to confirm whether prosecutors had confiscated a cellphone and other items from Ghosn's wife. Troubled auto executive Carlos Ghosn is asking the French government to help defend him amid accusations of financial wrongdoing he denounces as "lies." 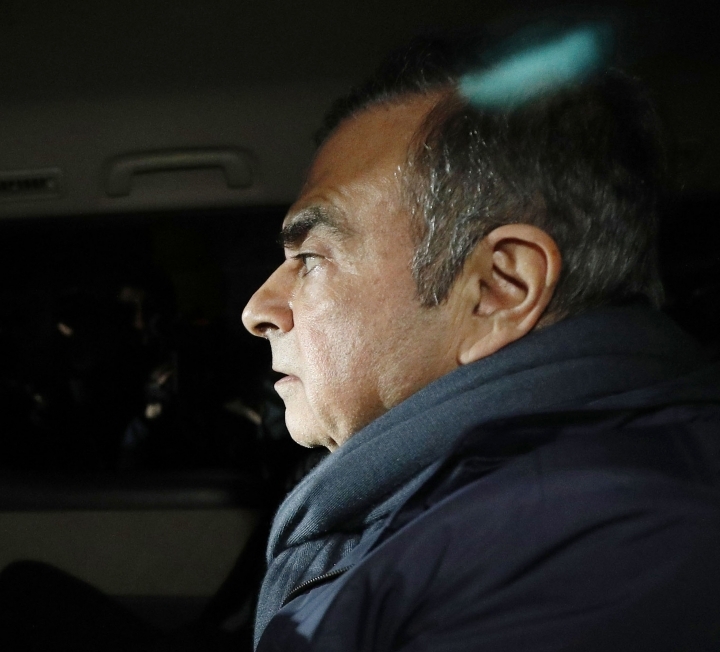 Ghosn gave an interview to France's TFI television on Wednesday — before he was arrested again Thursday in Tokyo by prosecutors investigating him for alleged financial misconduct. Ghosn led Japan's Nissan and France's Renault before his first arrest in November. In the interview, which aired Thursday, he insisted "I am innocent" and said "I am calling on the French government to defend me and preserve my rights" as a French citizen facing legal trouble abroad. French Finance Minister Bruno Le Maire called Ghosn a citizen like any other who "benefits from the presumption of innocence ... and consular protection." But Le Maire, speaking Thursday on BFM television, called for further investigation into how things were run at Renault under Ghosn's watch. The French government is a key Renault shareholder. The lawyer for former Nissan Chairman Carlos Ghosn has slammed his latest arrest as "hostage justice" and stressed that Ghosn met the conditions for release on bail from detention. Ghosn was arrested first in November and was released last month after a Tokyo court found he was not a flight risk and would not tamper with evidence in his financial misconduct case. 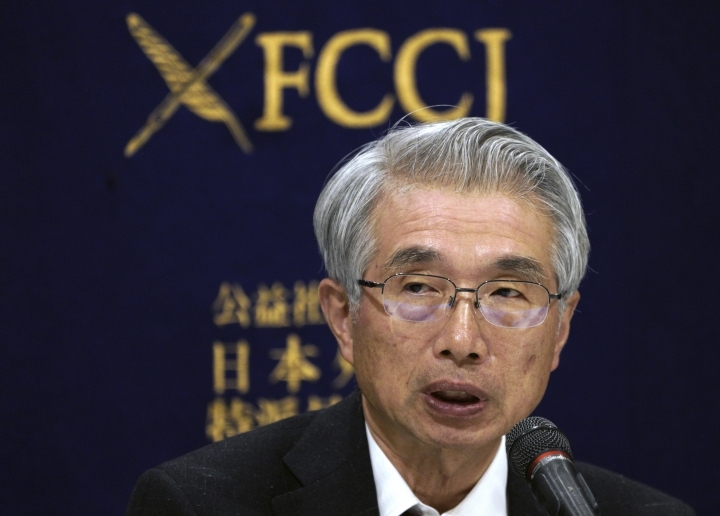 Lawyer Junichiro Hironaka said the latest arrest on Thursday was motivated by a desire to pressure Ghosn and would hurt the legal team's effort to prepare for the trial. Hironakatold the Foreign Correspondents' Club of Japan that "This goes against what is defined by law. This should never be allowed." He referred to the multiple arrests as "hostage justice," a term often used by critics of the tactic that prolongs pretrial detentions. The lawyer also said prosecutors had prevented Ghosn from speaking at a news conference next week and instead would release a video soon. A Tokyo detention center has confirmed that former Nissan Chairman Carlos Ghosn has been already detained inside the facility following arrest over his latest allegations. Tokyo prosecutors said Ghosn's latest arrest was based on suspicion he diverted $5 million from funds that were being relayed from a Nissan subsidiary to a dealership abroad. The arrest comes barely a month after Ghosn's release on bail from the earlier arrests related to alleged financial misconduct while he led the Japanese automaker. 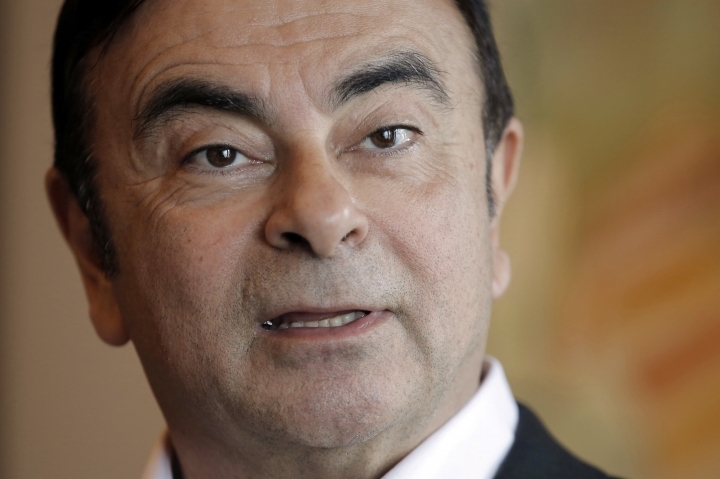 An investigation by Nissan Motor Co.'s French alliance partner Renault has centered on payments to a dealership in Oman in which some of the money is suspected of having been channeled for Ghosn's personal use. Ghosn insisted on his innocence in a statement. Tokyo prosecutors say the latest arrest of former Nissan Chairman Carlos Ghosn was based on suspicion he diverted $5 million from funds that were being relayed from a Nissan subsidiary to an overseas dealership. 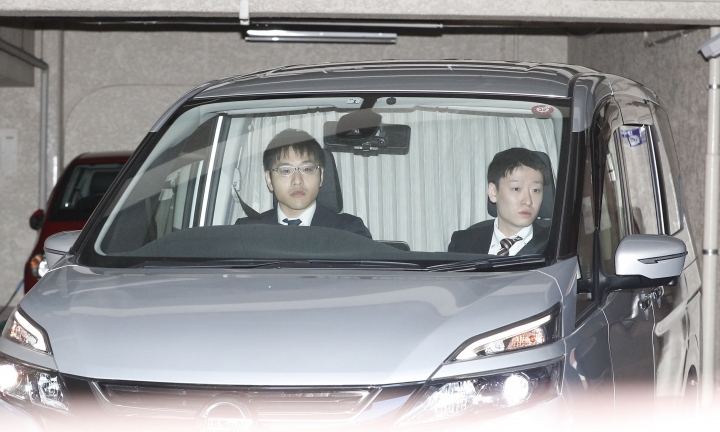 TV footage Thursday morning showed officials entering Ghosn's apartment, and a car later going to the prosecutors' office, barely a month after Ghosn was released on bail from the earlier arrests related to alleged financial misconduct while he led the Japanese automaker. In a statement Ghosn strongly declared his innocence. He was first arrested in November on charges of under-reporting his compensation. The prosecutors said the diverted money is suspected of going to a company Ghosn virtually ran. The statement issued Thursday did not mention Oman. But an investigation by Nissan Motor Co.'s French alliance partner Renault has centered on payments to a dealership in Oman in which some of the money is suspected of having been channeled for Ghosn's personal use. Nissan's former Chairman Carlos Ghosn says he has been arrested a fourth time by Tokyo prosecutors investigating him for alleged financial misconduct. The prosecutors said they will issue a statement soon but declined immediate comment. Japanese TV footage showed officials entering Ghosn's apartment in Tokyo on Thursday morning, and a car later going to the prosecutors' office. Ghosn declared his innocence and had strong words about his detention in a statement issued by his family's spokesman. The spokesman would not be identified due to the sensitivity of the matter. It said: "My arrest this morning is outrageous and arbitrary. It is part of another attempt by some individuals at Nissan to silence me by misleading the prosecutors. Why arrest me except to try to break me? I will not be broken. I am innocent of the groundless charges and accusations against me." Ghosn was first arrested in November and twice in December, each one prolonging his pretrial detention. 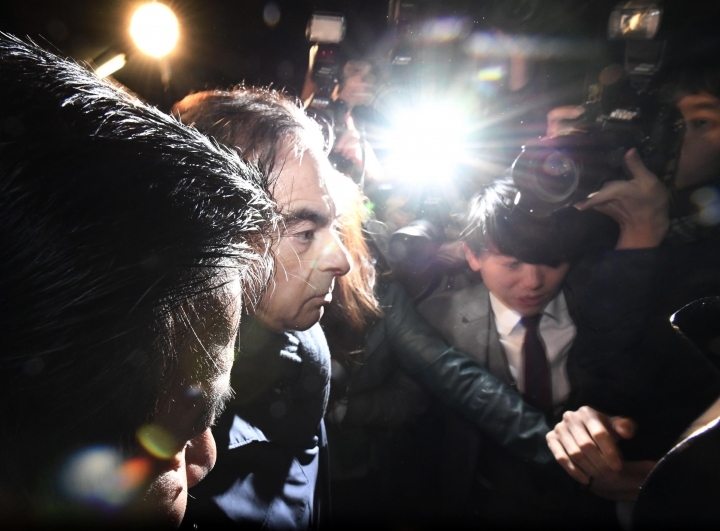 Japanese prosecutors have taken Nissan's former Chairman Carlos Ghosn for questioning barely a month after he was released on bail ahead of his trial on financial misconduct charges. 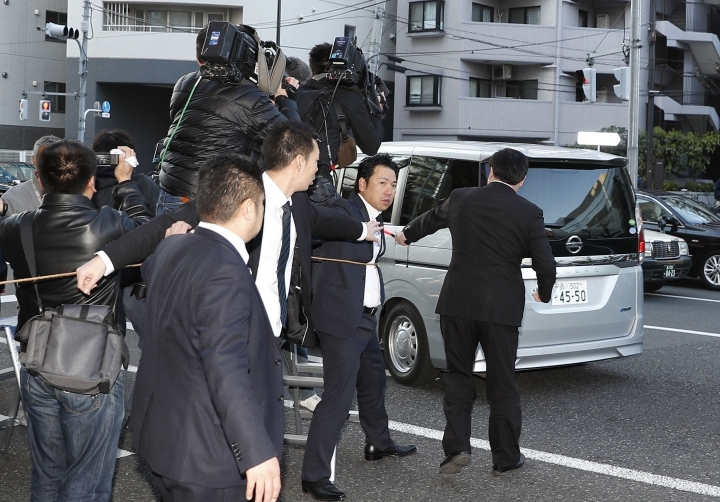 Japanese TV footage showed officials entering Ghosn's apartment in Tokyo Thursday, and a car later going to the prosecutors' office. He may face what will be his fourth arrest under Japanese law. He was first arrested in November on charges of under-reporting his compensation. He was re-arrested twice in December, including on breach of trust charges. The arrests prolong detentions without trial. The latest charge appears to be related to the investigation by Nissan Motor Co.'s French alliance partner Renault about payments in Oman to a major dealership, some of which is suspected of having been channeled for Ghosn's personal use.